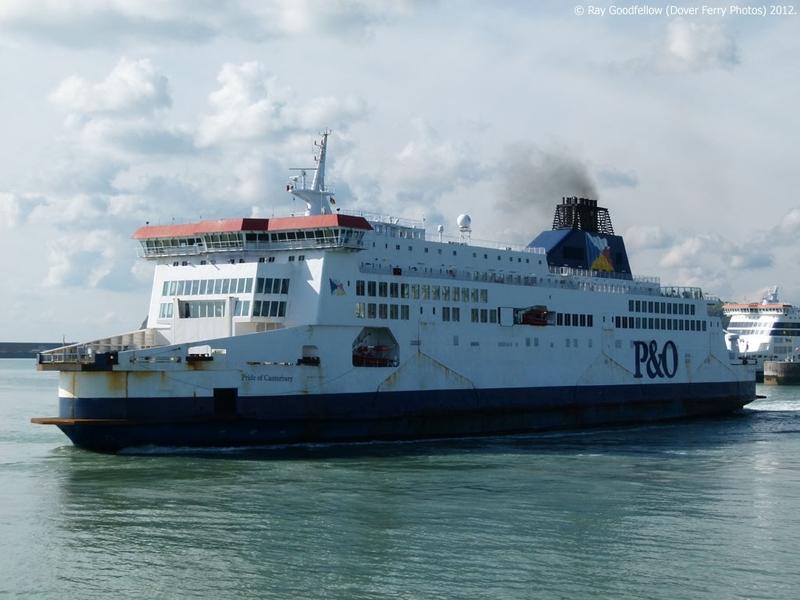 Originally built as the European Pathway (Pride of Canterbury) and the European Highway (Pride of Kent) in 1992 as freight vessels for P&O European Ferries for use on the Dover-Zeebrugge service both vessels were heavily rebuilt in Lloyd Werft in Bremerhaven in 2003 to make them suitable for passenger use on P&O Ferries Dover-Calais service. 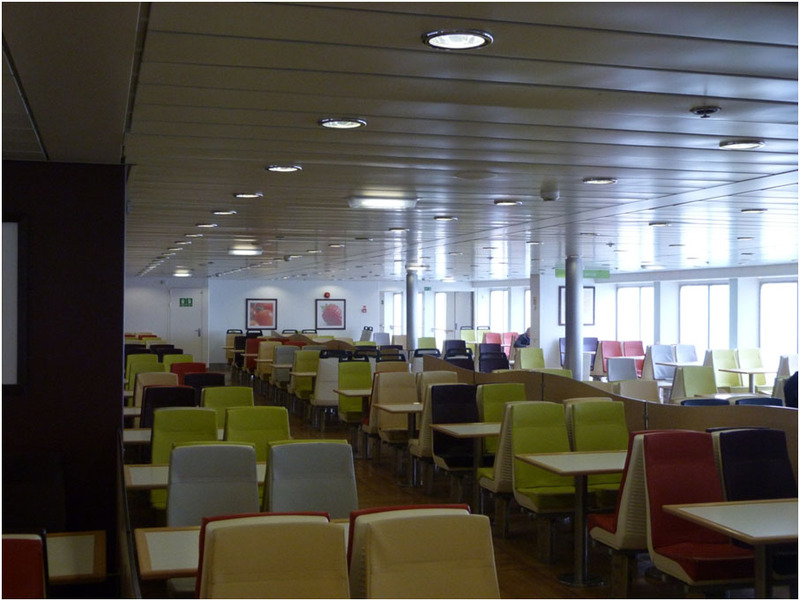 The conversion of these two freight ships was known internally by P&O as `Project Darwin’ due to the sheer amount of work that was involved. 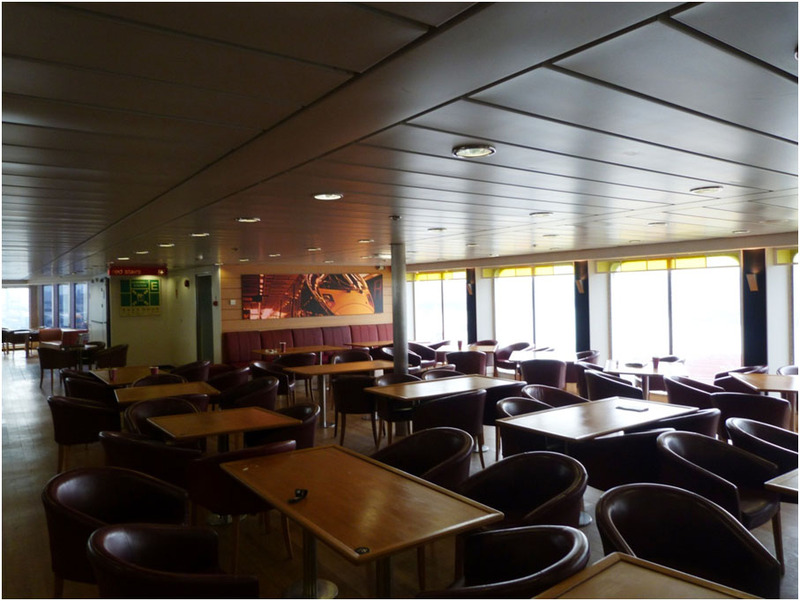 Each vessel had an additional 5,000 sqm of passenger accommodation added, which resulted in passenger capacity increasing from 200 to 2,000 and vehicle capacity being 124 freight vehicles or 650 cars. 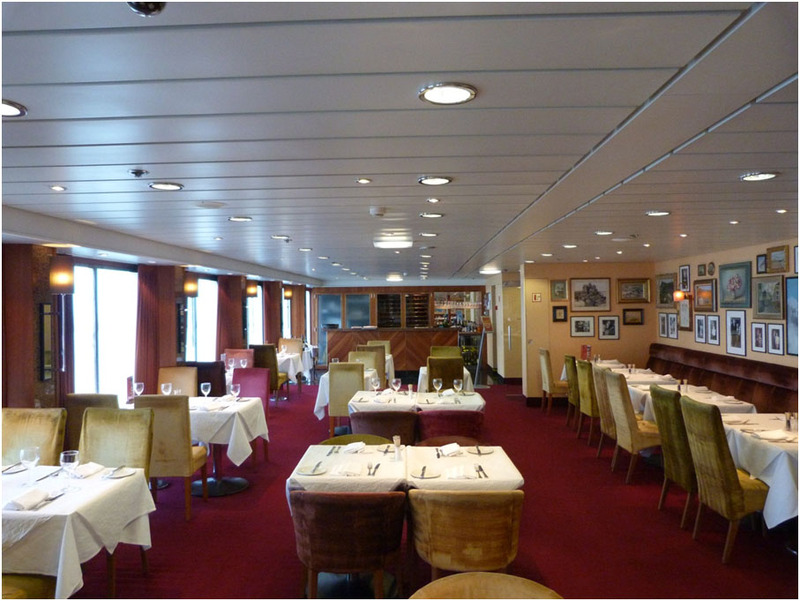 This year the Pride of Canterbury had an extended refit to deal with a gearbox replacement. 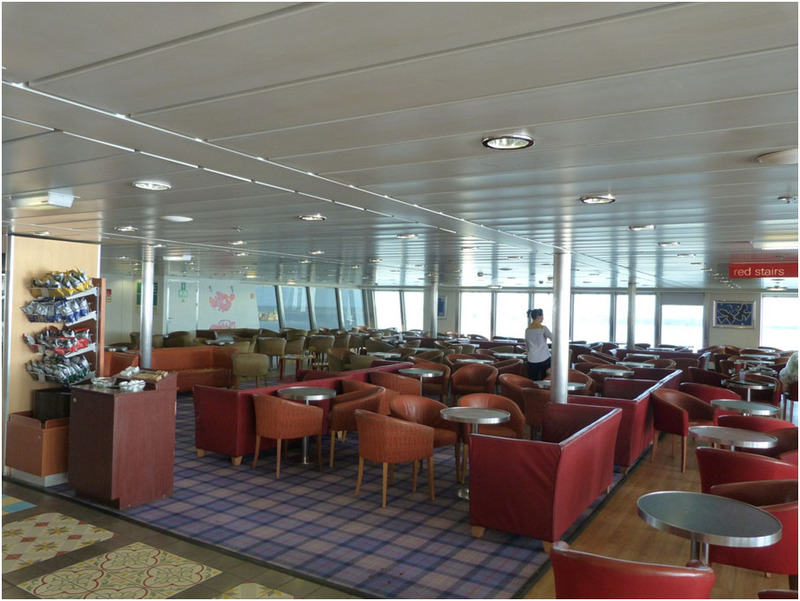 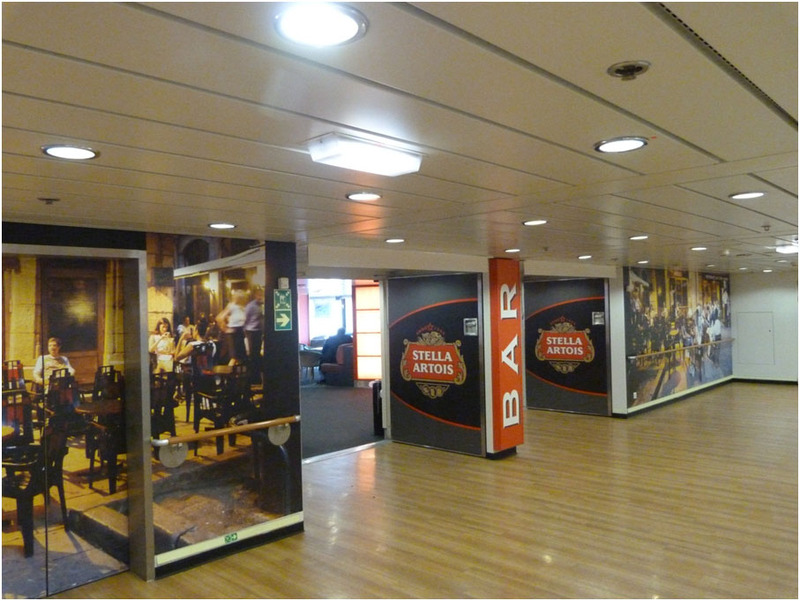 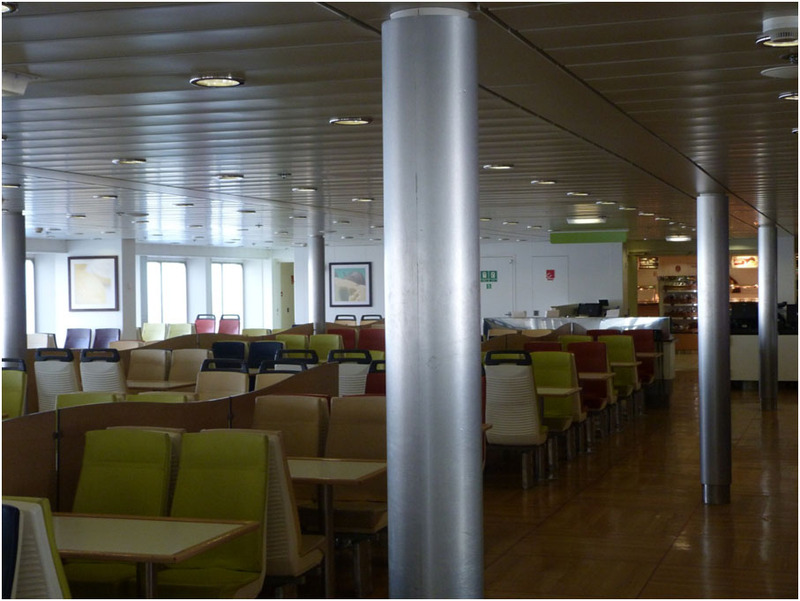 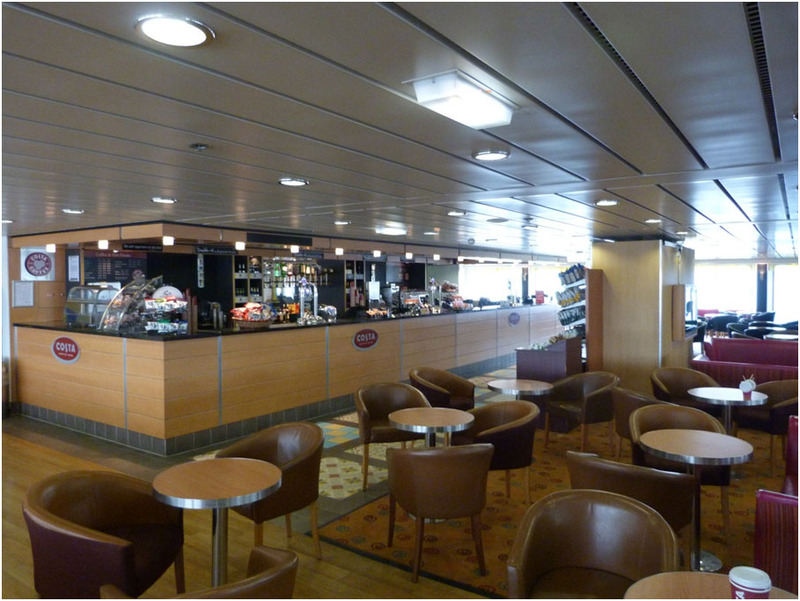 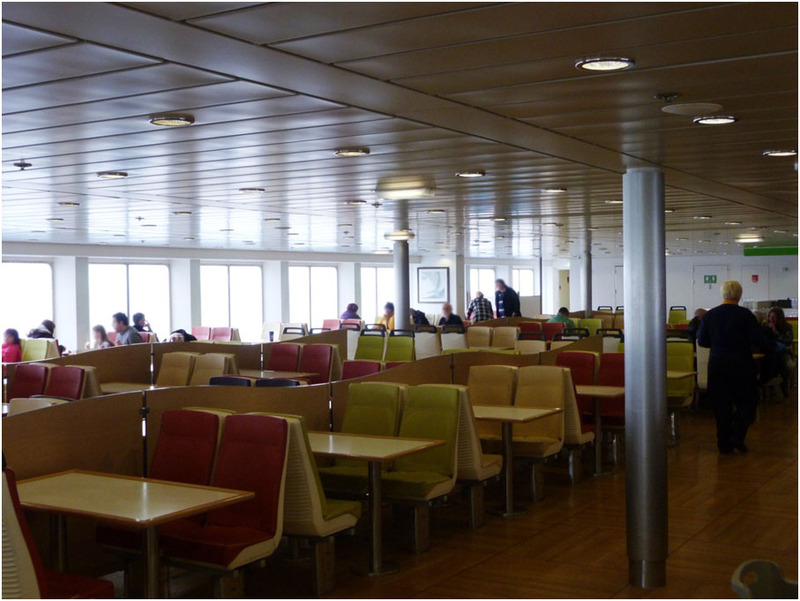 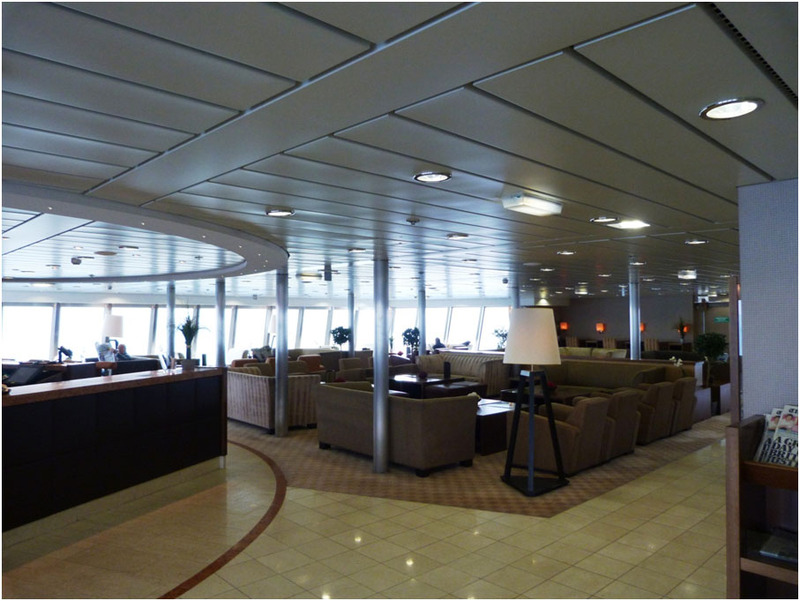 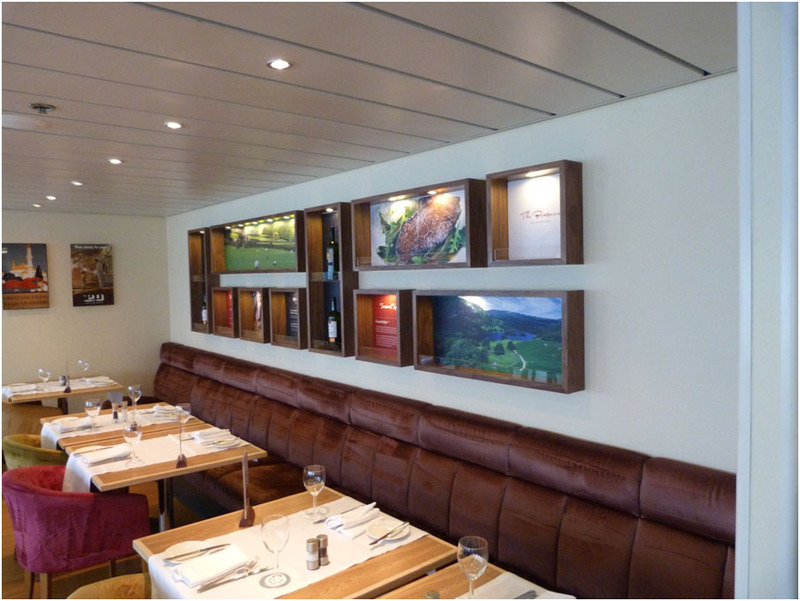 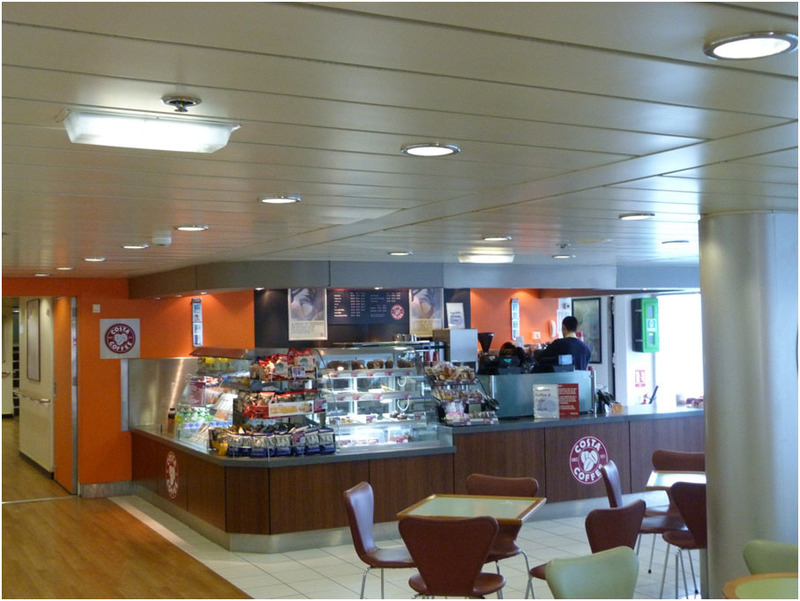 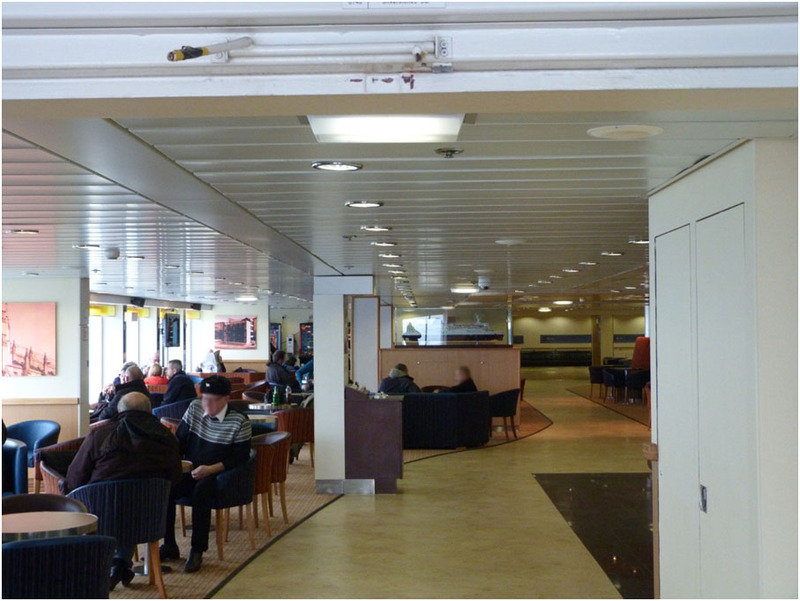 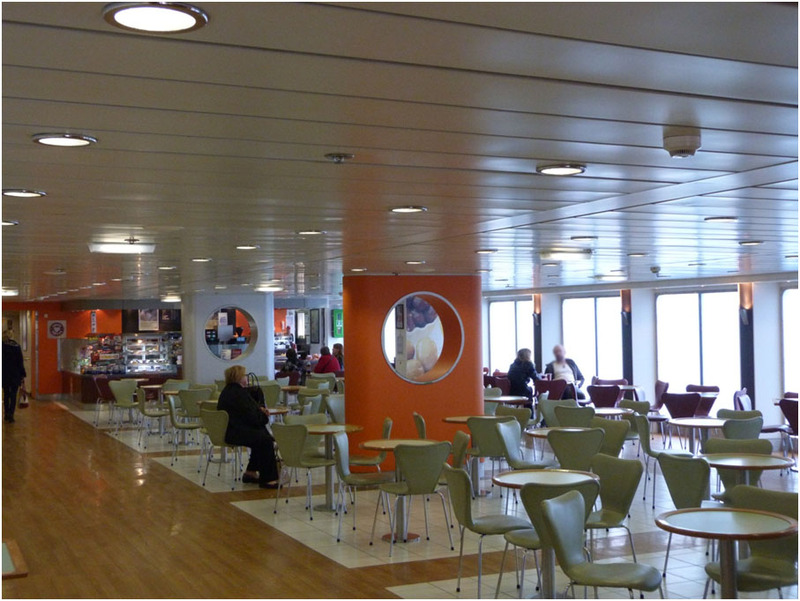 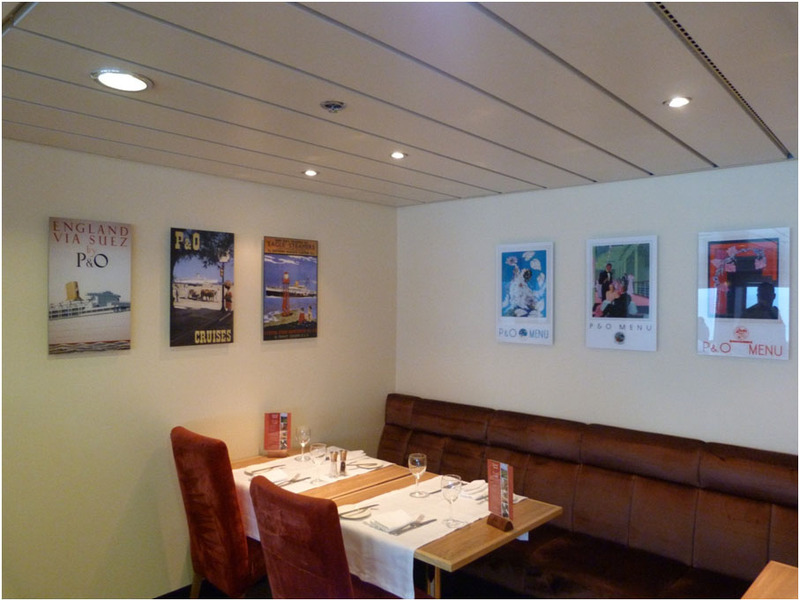 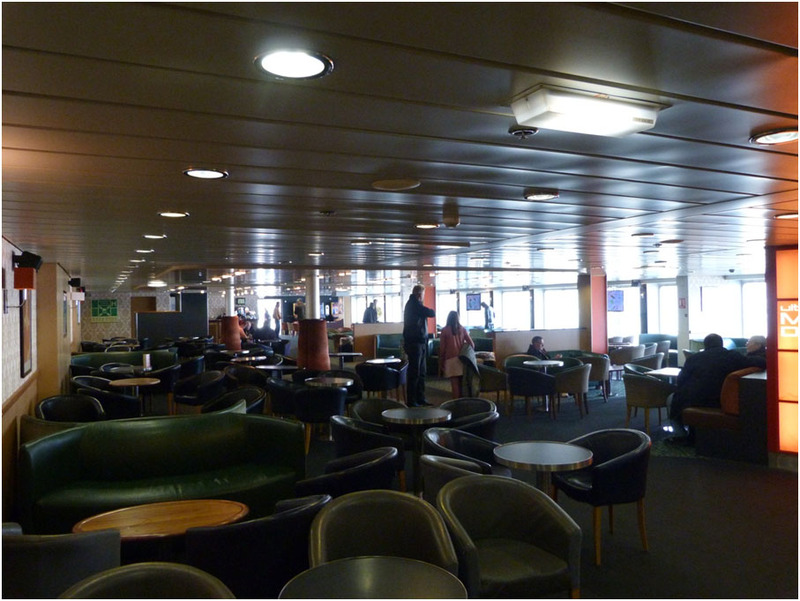 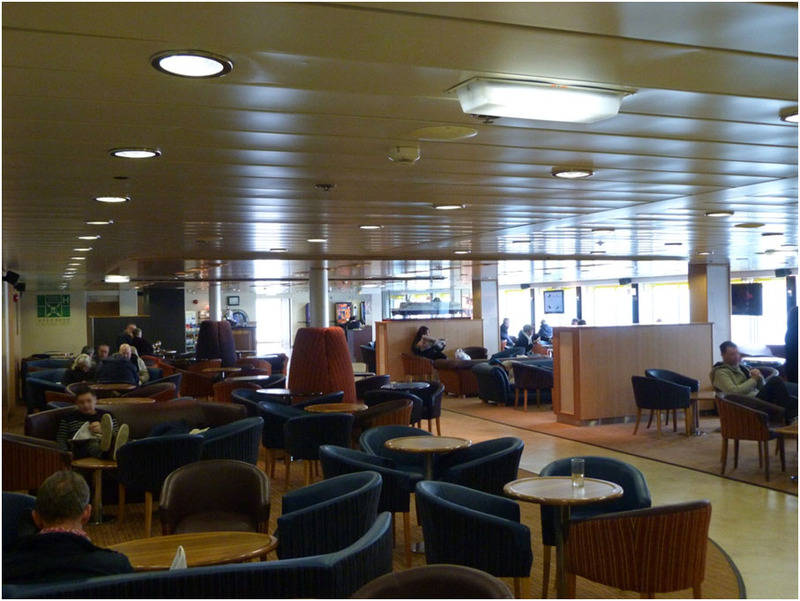 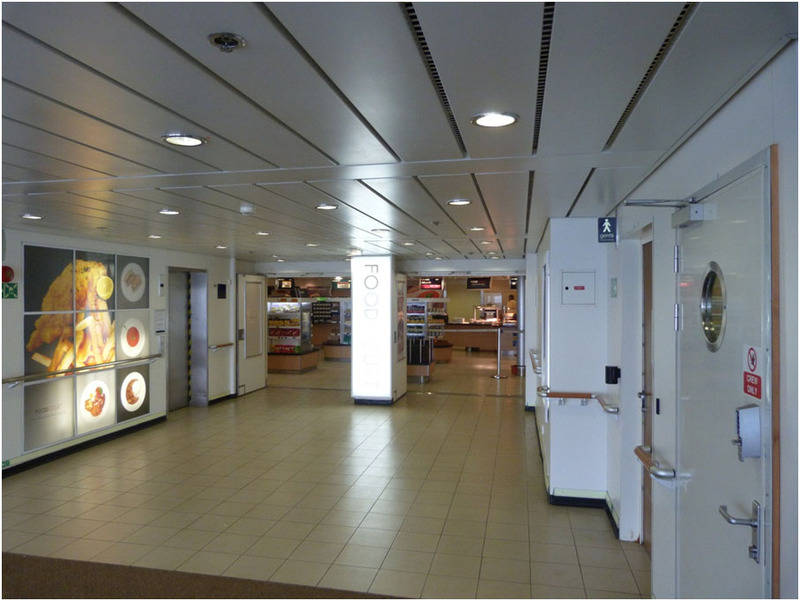 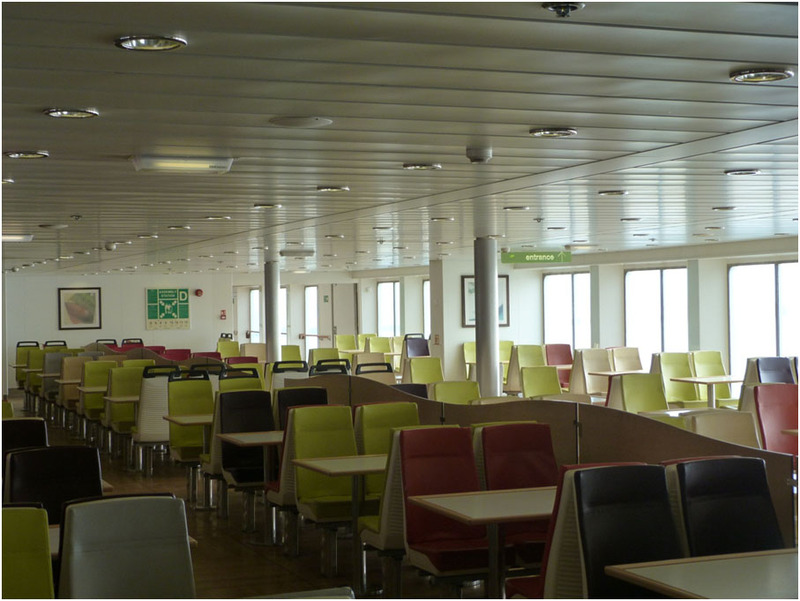 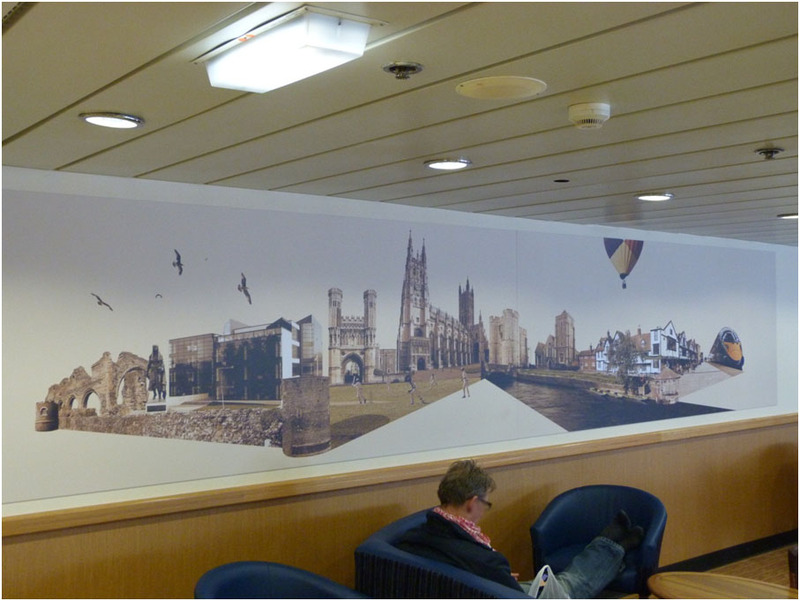 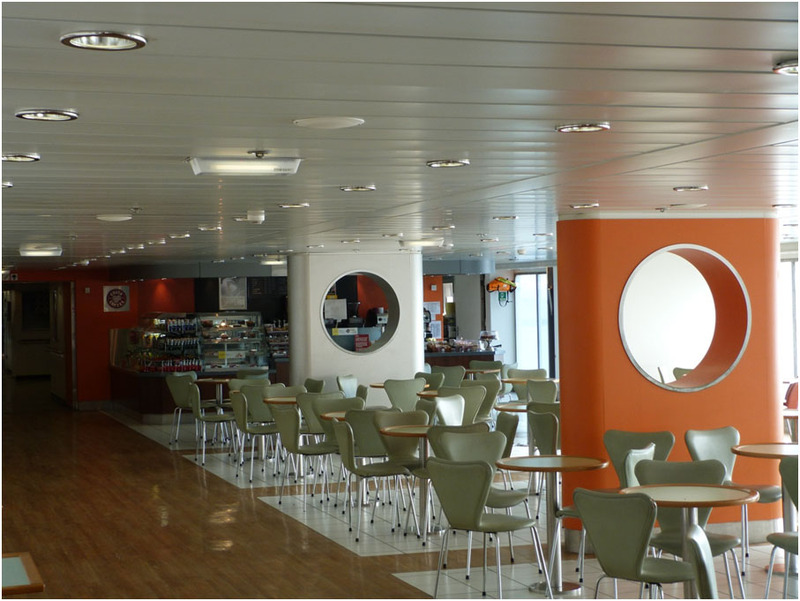 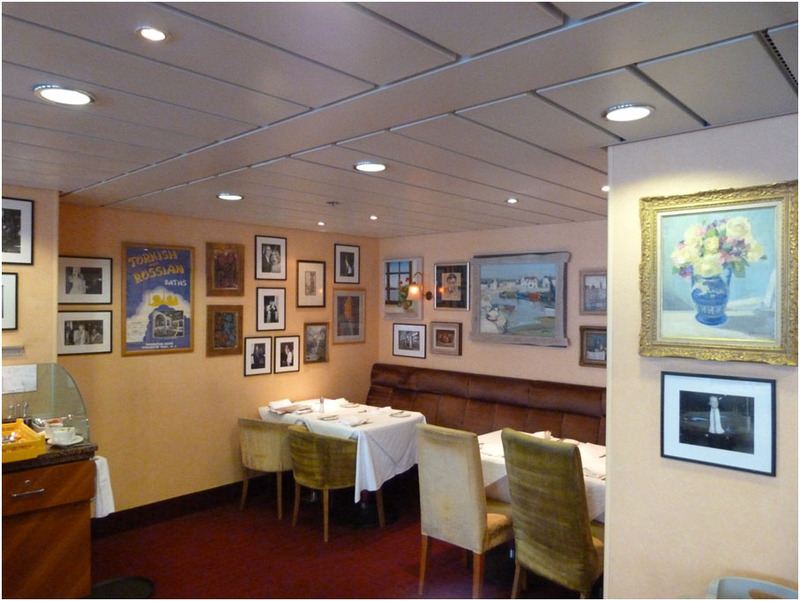 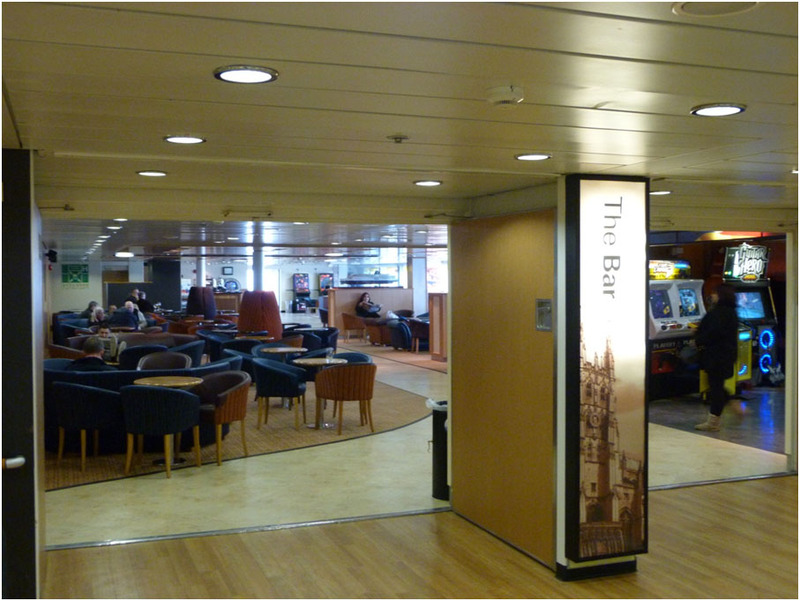 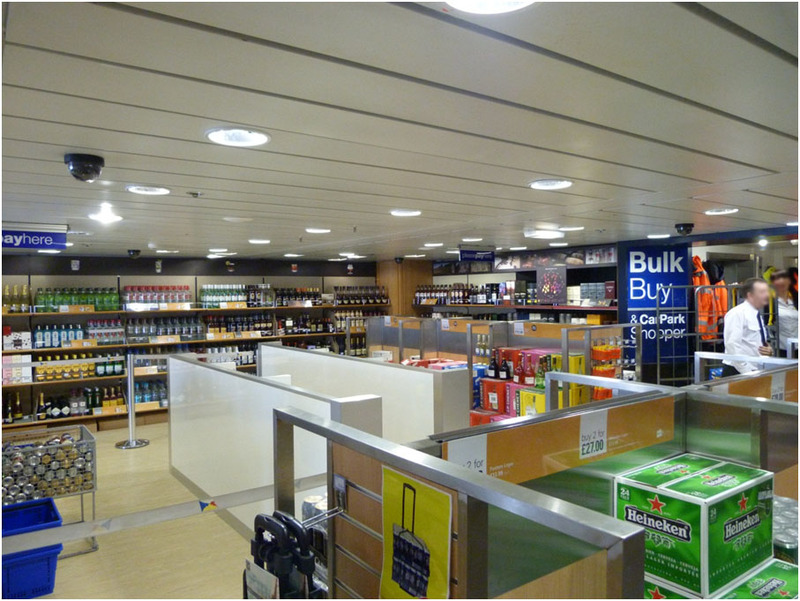 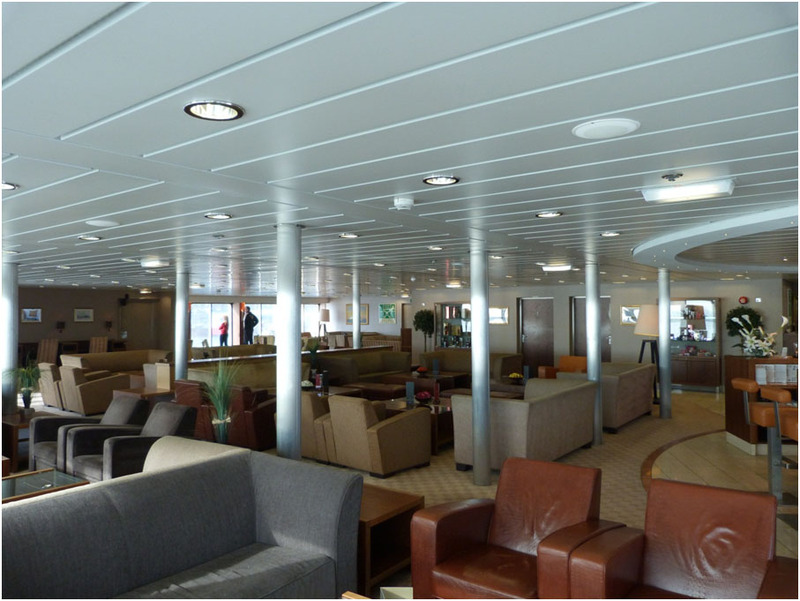 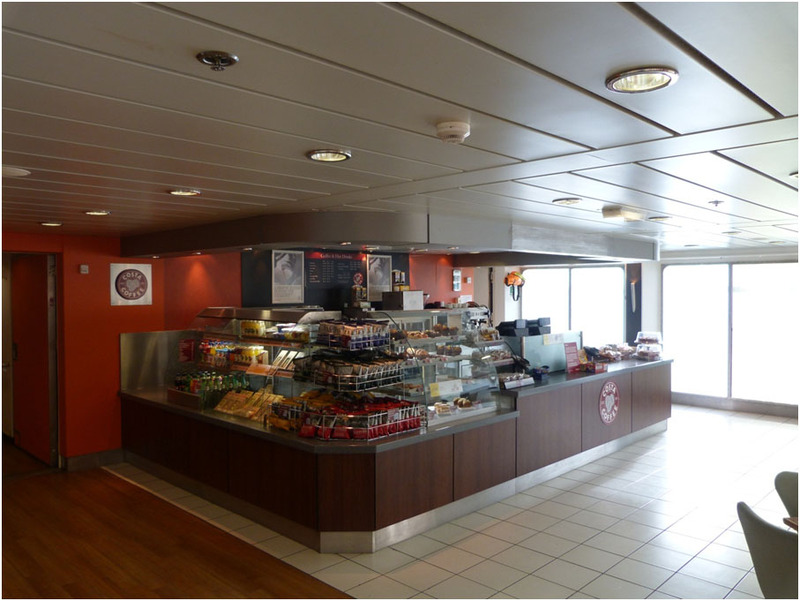 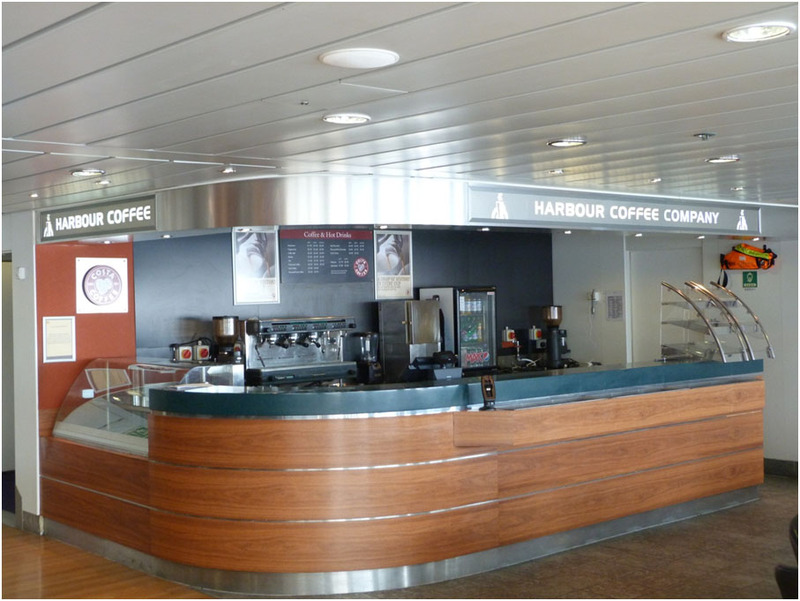 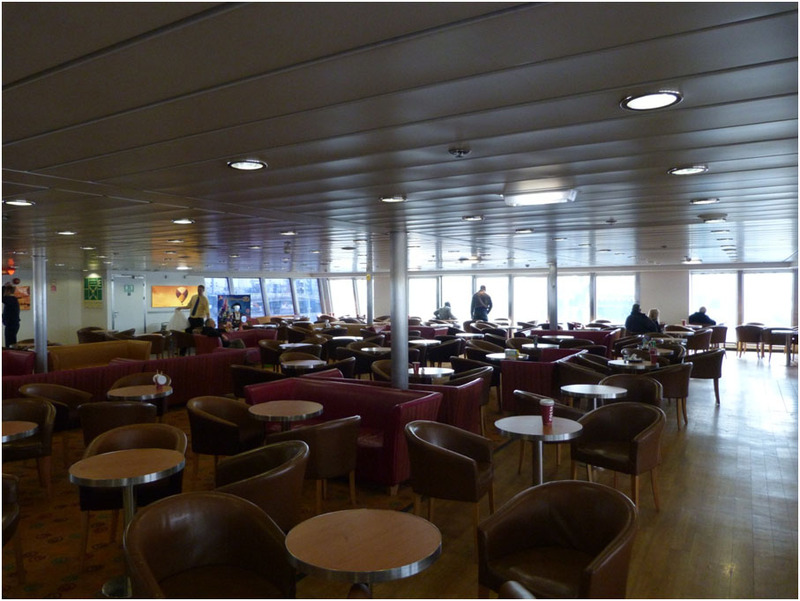 P&O Ferries took the opportunity to carry out an extensive refit of the passenger areas to bring the vessel in line with the décor found on board the new Spirit of Britain and Spirit of France. 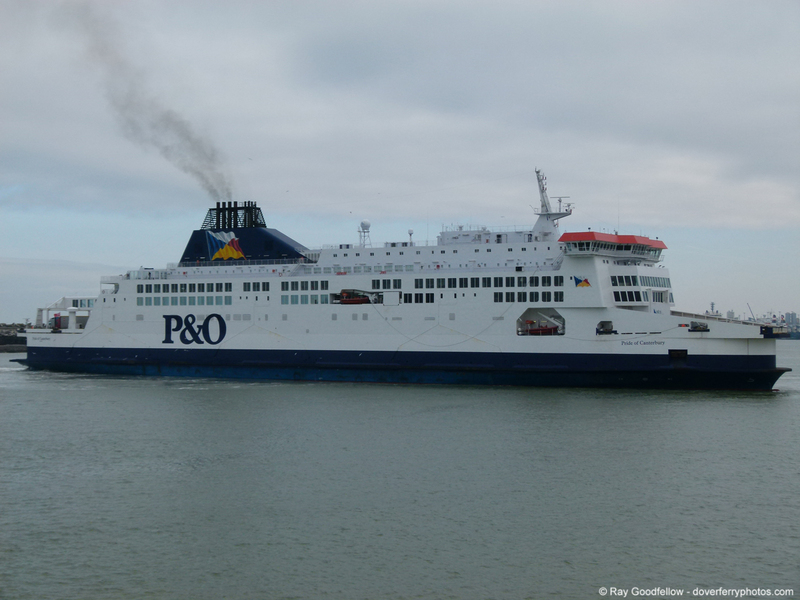 When the Pride of Canterbury emerged from refit there was only one thing a respectable website like this could do and that was to go and see what the refurbished ship looked like. 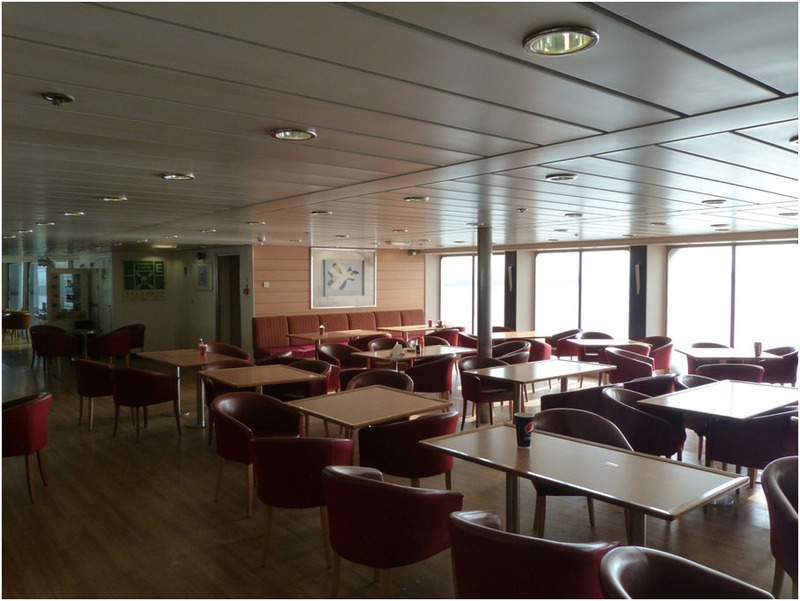 So on 3rd March, Ray Goodfellow and I booked an outward trip on the Pride of Canterbury and a return on the Pride of Kent, so we had the perfect opportunity to compare the two Darwin Twins. 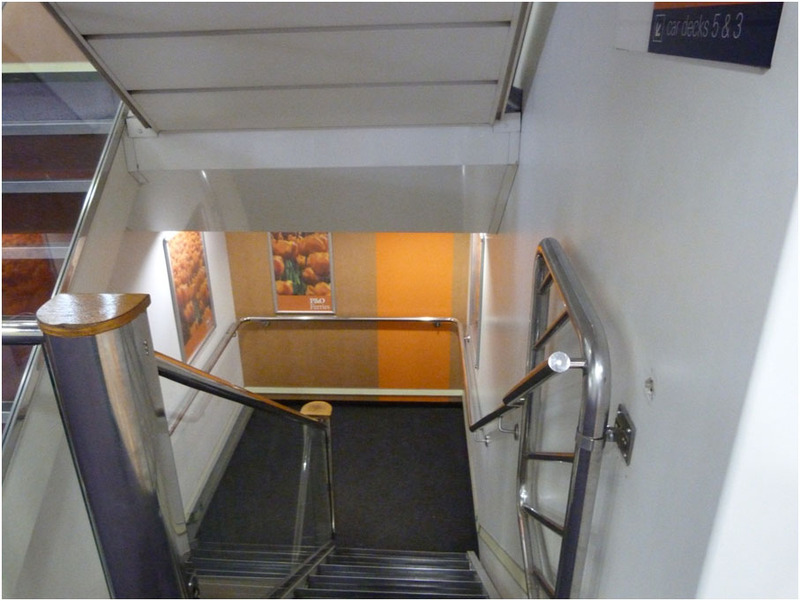 Where possible I tried to take pictures from the same angles to give a direct comparison of the twins. 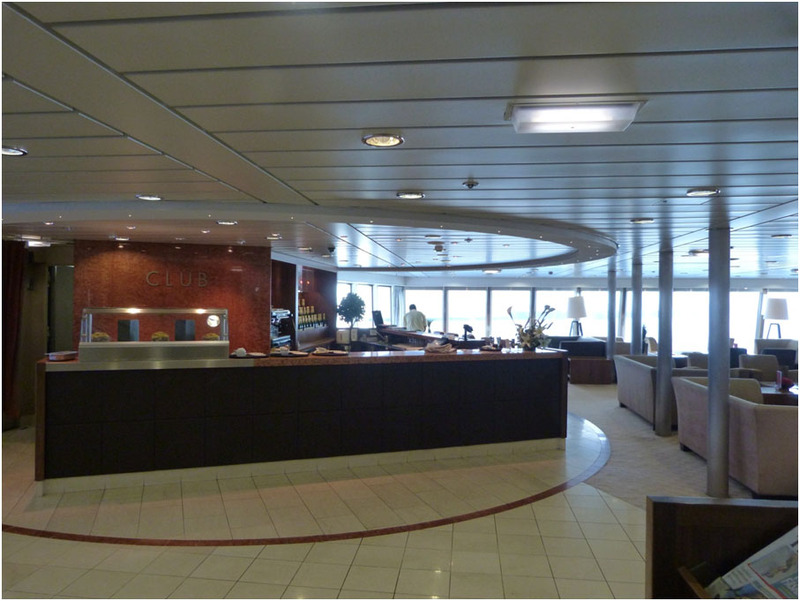 The first stop was Club Class. 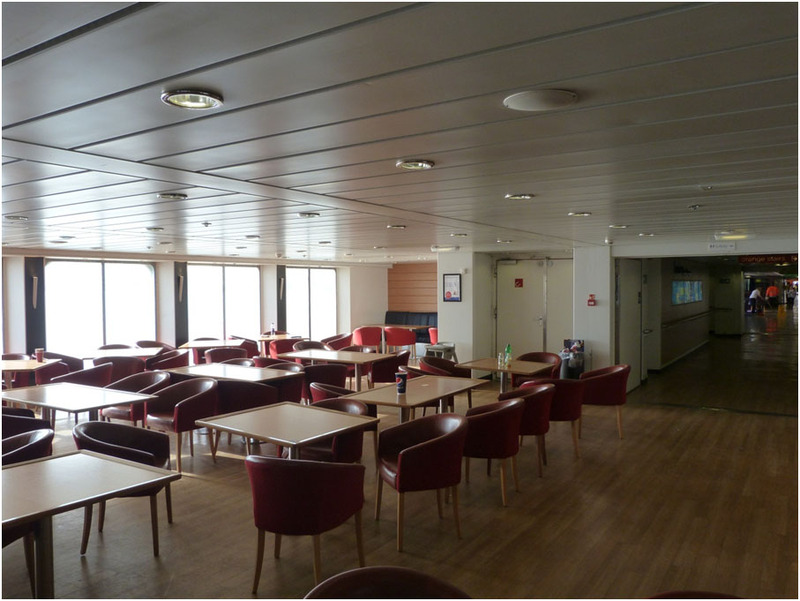 The Club lounges on both the Kent and Canterbury are by far the best in the fleet and were looking in great shape. 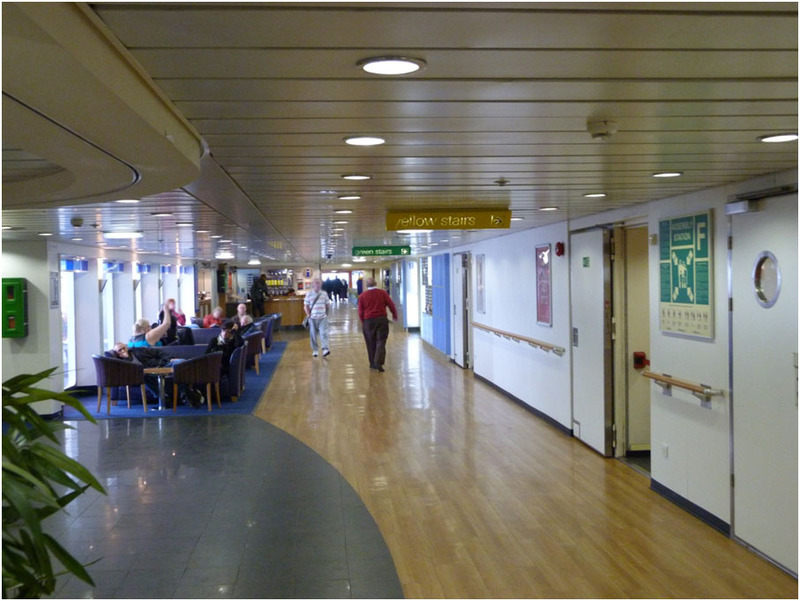 Looking at these photos it would seem that there is very little difference between the two on Deck 8. 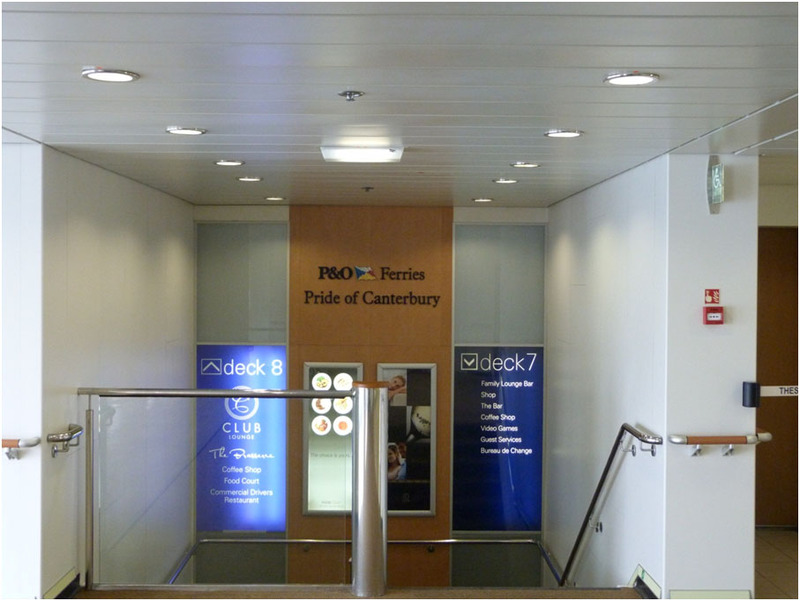 The real changes have happened on Deck 7. 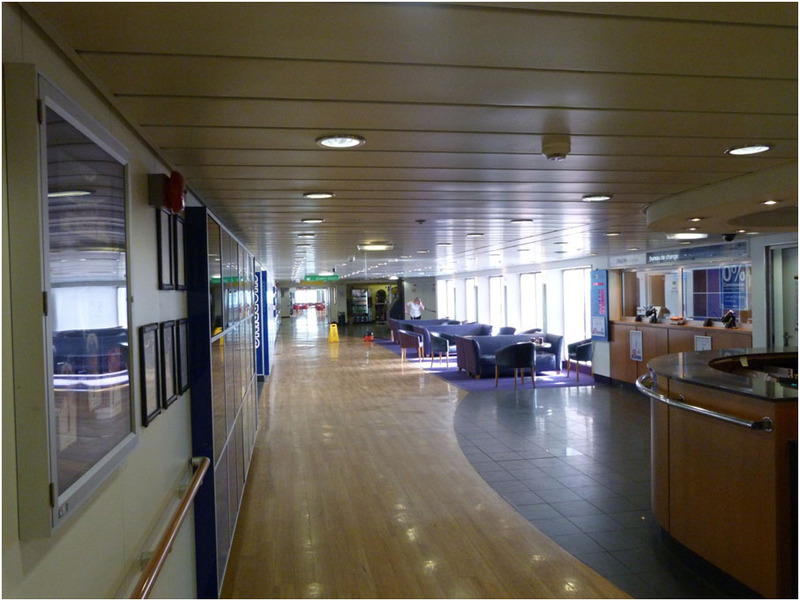 This includes the inclusion of coloured glass above the windows, as in the Spirit Class. 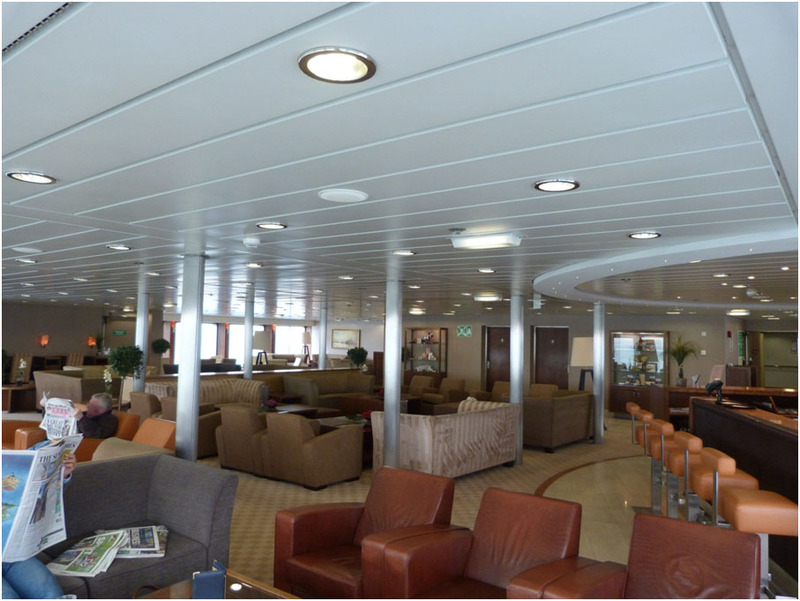 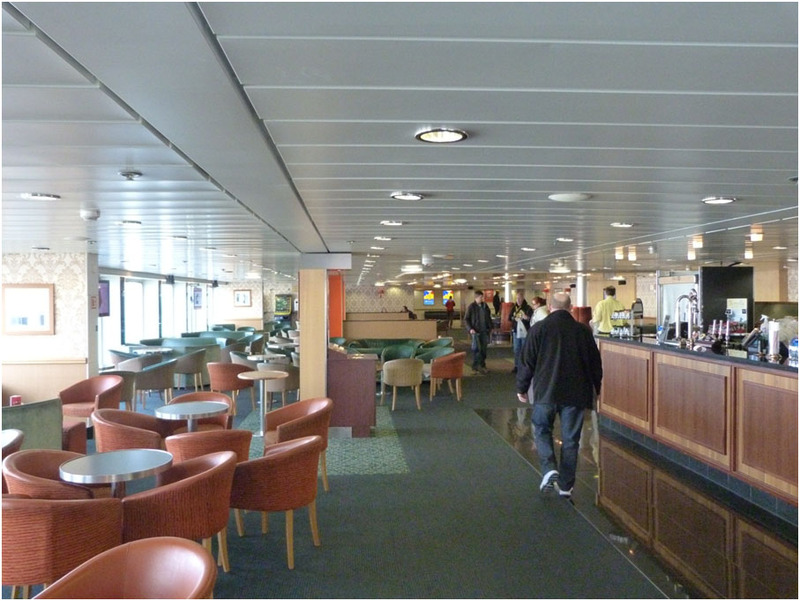 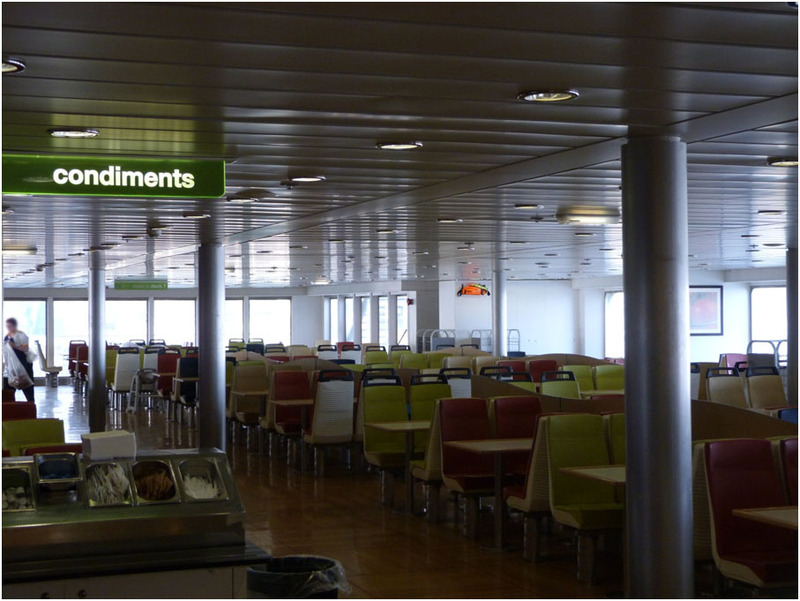 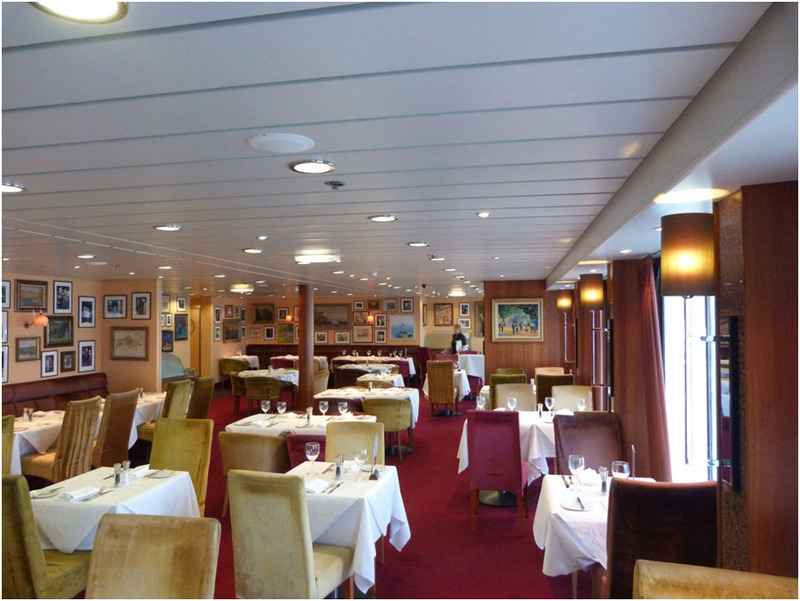 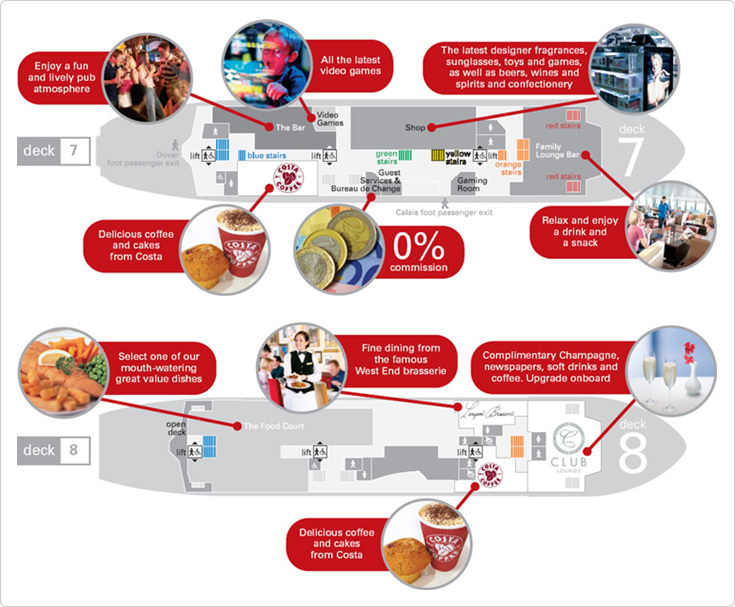 Moving forward to the Bar area Aft on Deck 7 is where the changes are noticeable…. 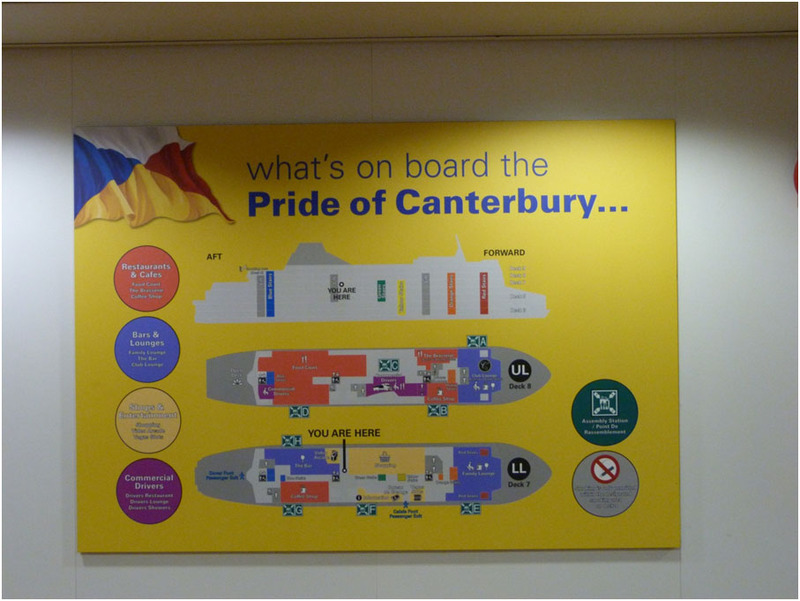 I think most of you will agree, that the Canterbury area is a vast improvement on the previous incarnation of the Bar. 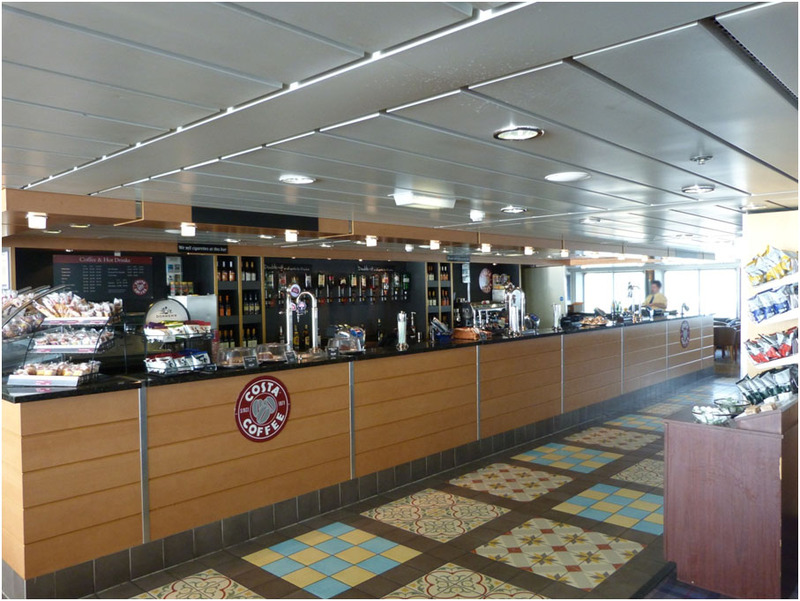 The addition of a scale model of the `Pride of Dover’ is also a nice touch. 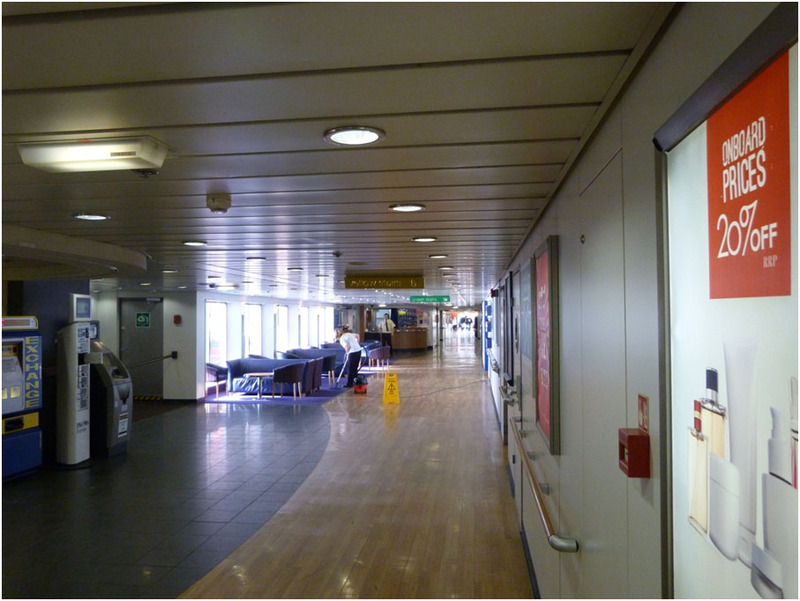 Nice to know she is still remembered for her role in the local fleet. 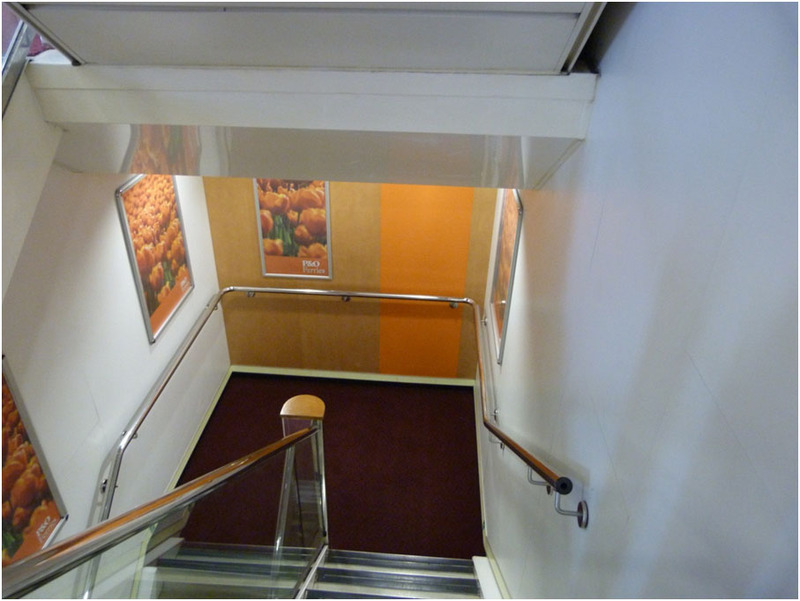 There had also been a few modifications to the Shop on the Canterbury. 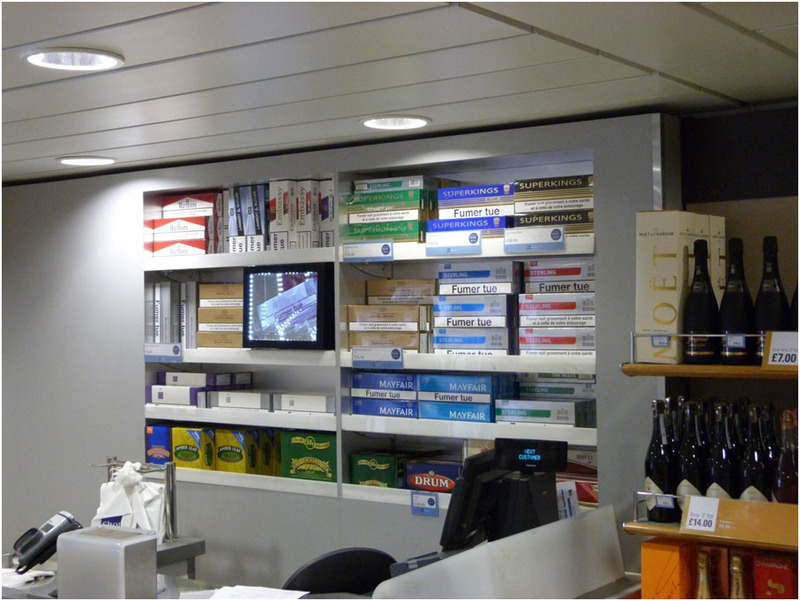 Cigarettes are now sold from behind the till in a similar fashion to the Spirit Class. 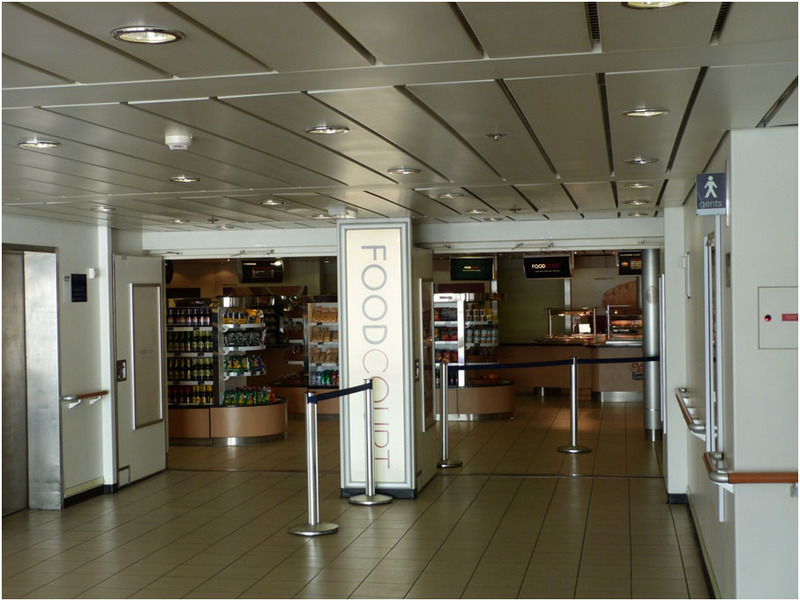 There has also been the introduction of a queue system, very similar to that on the Spirit Class. 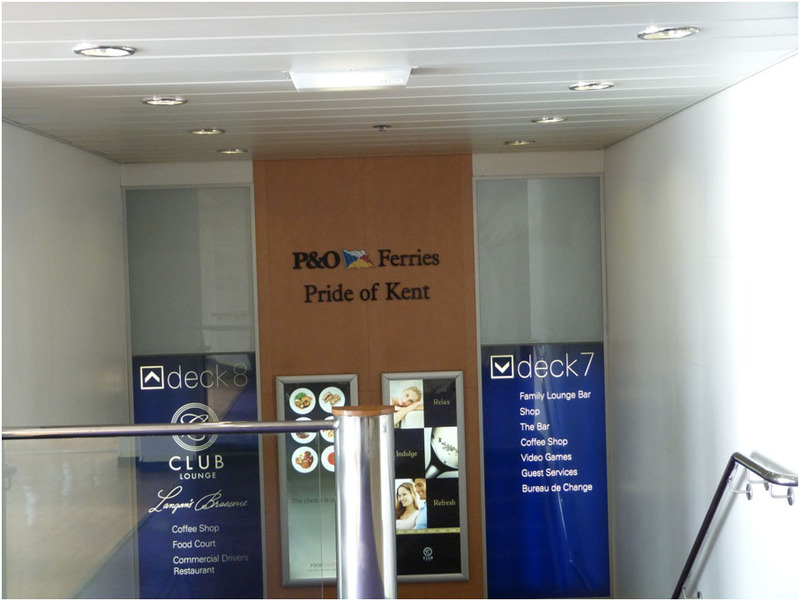 As can be seen from the set of photos the Canterbury now has a fresh coat of paint, new shoulder flags (below the bridge wings) and the `Spirit’ inspired house flag on her upper car deck door. 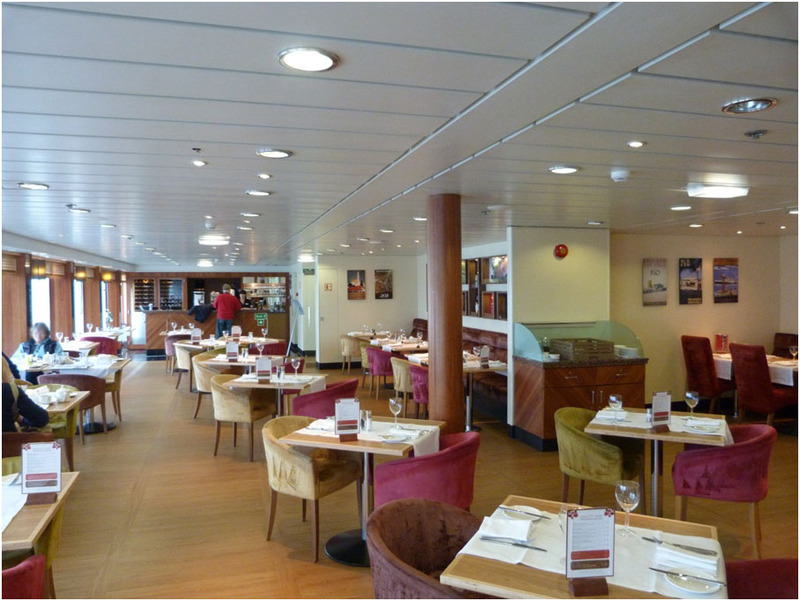 I think you will agree she certainly looks good! 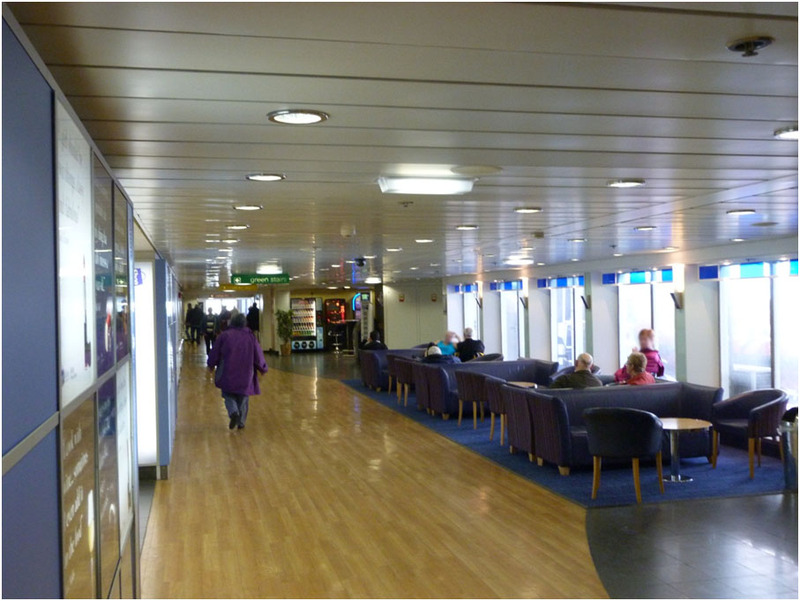 So what are the conclusions after seeing both of the Darwin Twins? 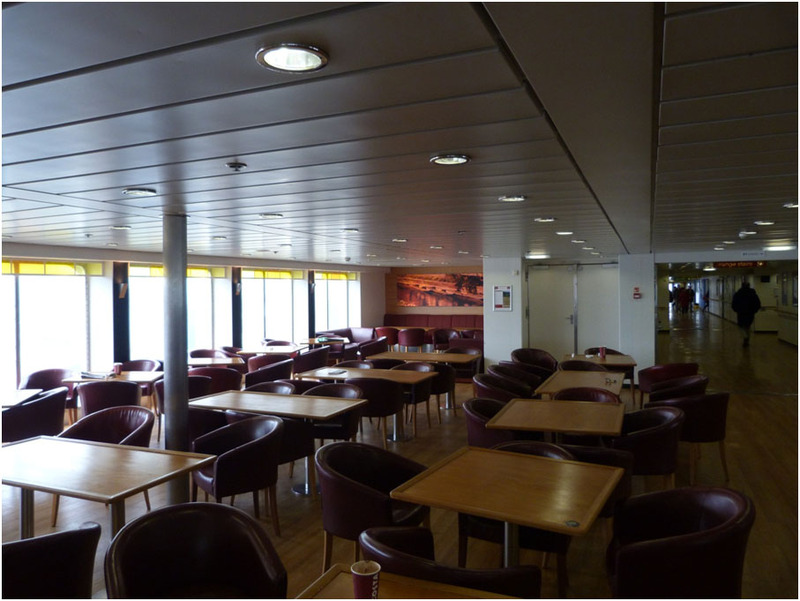 The Pride of Kent is still a fine, well kept and presented vessel, however the refurbishment on the Pride of Canterbury has taken this Darwin to a new level and has set up this class of ship for many more years within the P&O fleet. 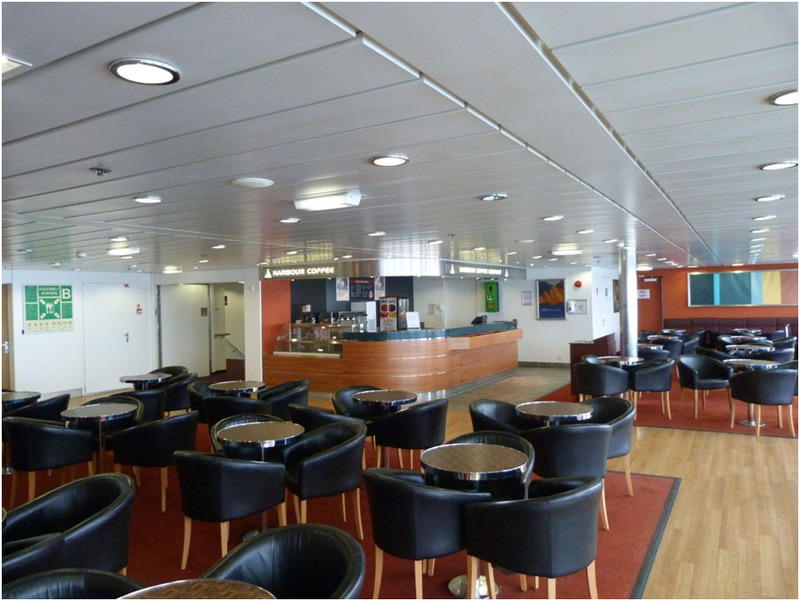 It is planned that the Pride of Kent will receive a similar refurbishment in early 2014. 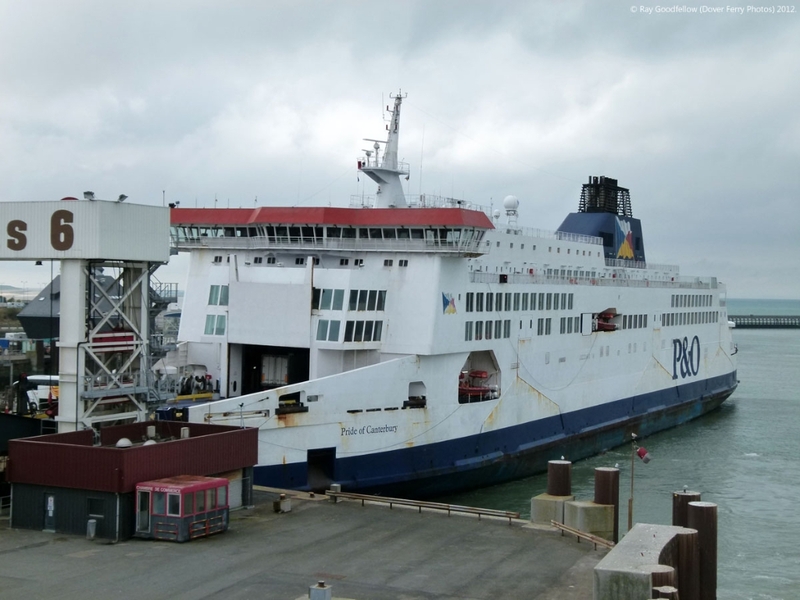 I would like to thank P&O Ferries, the officers, the onboard services team and the crew of `red watch’ of both the Pride of Kent and the Pride of Canterbury for their hospitality in allowing this article to be produced. 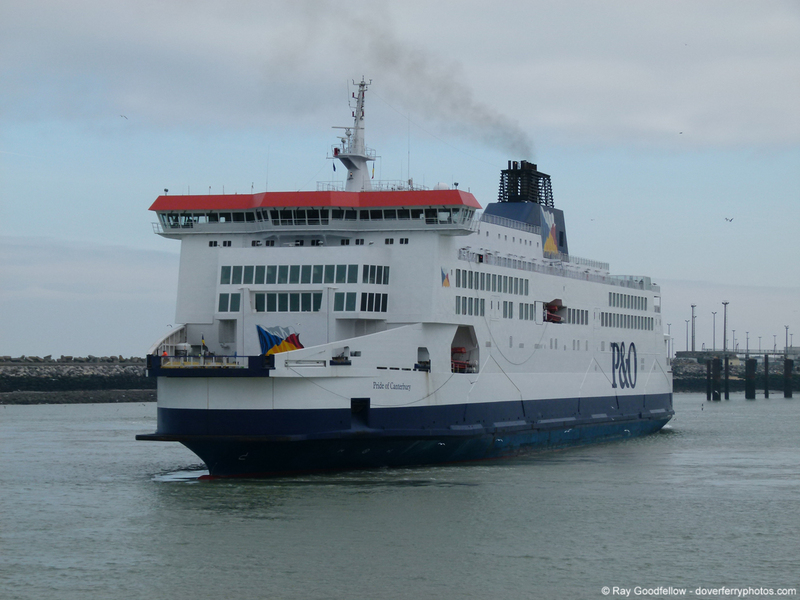 Unless otherwise stated all photographs on this page are © Paul Cloke (Dover Ferry Photos) 2013, All rights reserved. 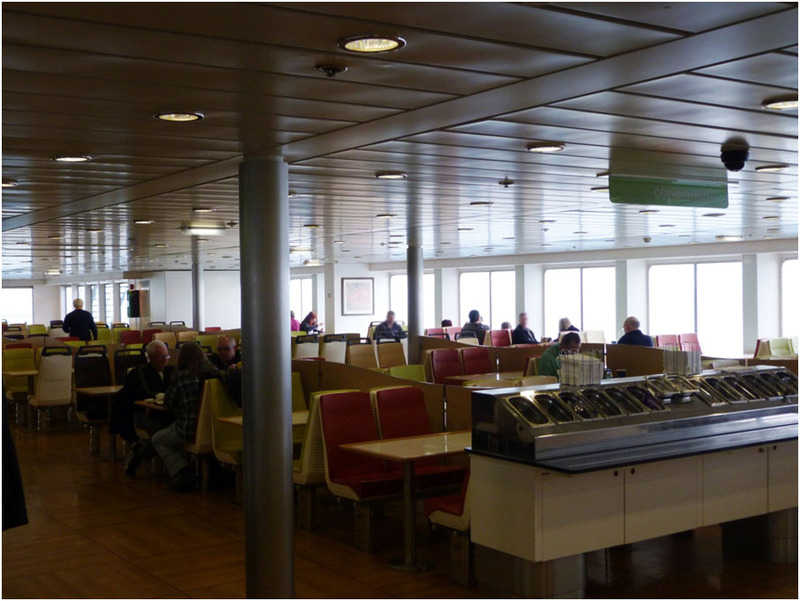 The article is © Paul Cloke and Ray Goodfellow (Dover Ferry Photos) 2013.